As mentioned when the tanker was blasted, there has been a lot of lead applied during construction. 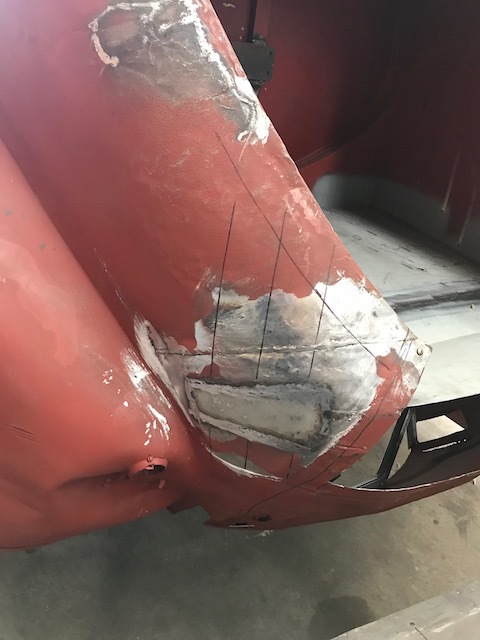 This has meant that any areas requiring repairs with lead in the welds or in the body work, have had to have all the lead melted out first in order to allow welding to be done. At the time that Update #12 was posted, Craig had cut out the badly rusted steel areas under the checker plate walkways. 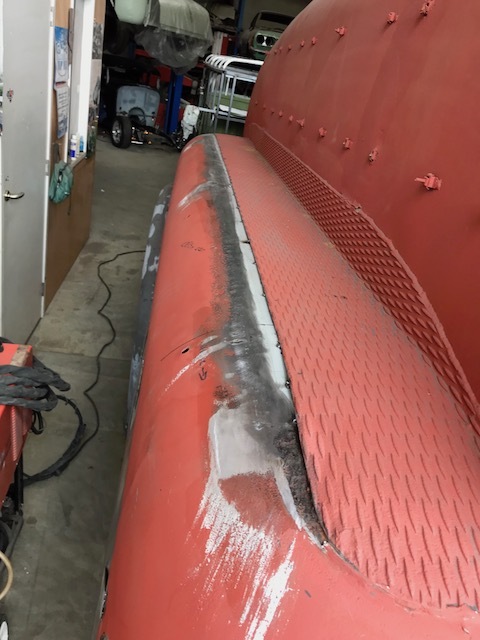 Repair sections have since been made up and tack welded back in on both sides of the tanker. 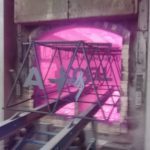 Underneath the walkways, the replacement L section bracing has been welded back in between the tank and checker plate. 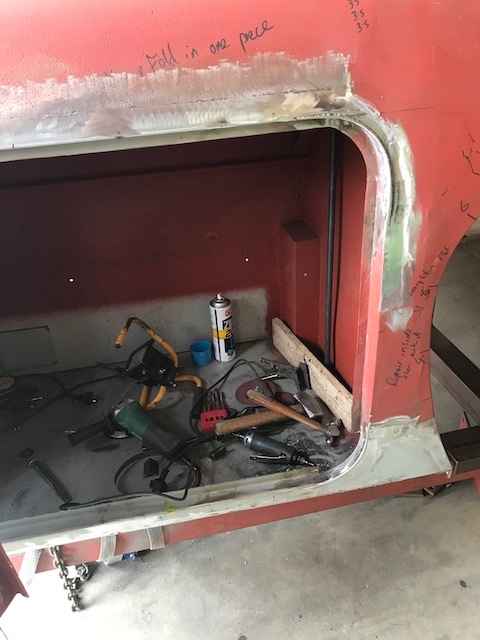 Repairs have been made to the bracing where the locker compartment box frames meet the checker plate, and the brace has been welded back in. 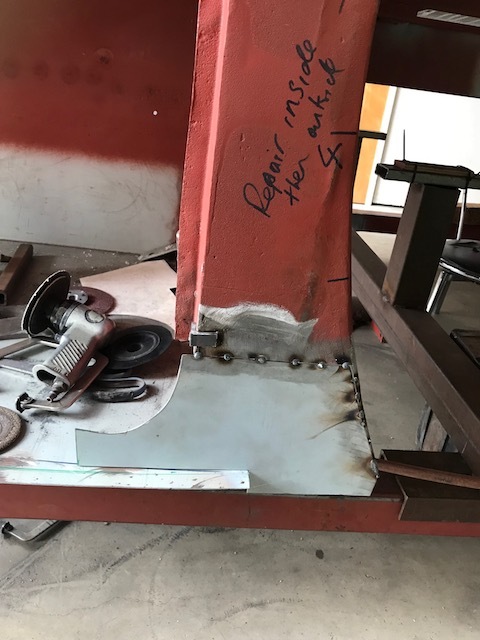 The checker plate walkway will be plug welded underneath (as per the original construction) and the tack welds along the edge will be ground off. The bottom of the front left corner was badly rusted and needed to be replaced. 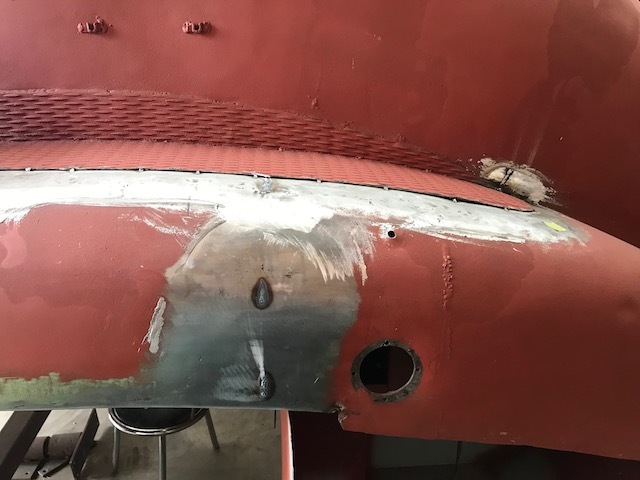 A repair section has been made up and welded around the bottom edge. Repairs have been made around the step area and the section replaced directly below where the remote emergency release handle is situated. 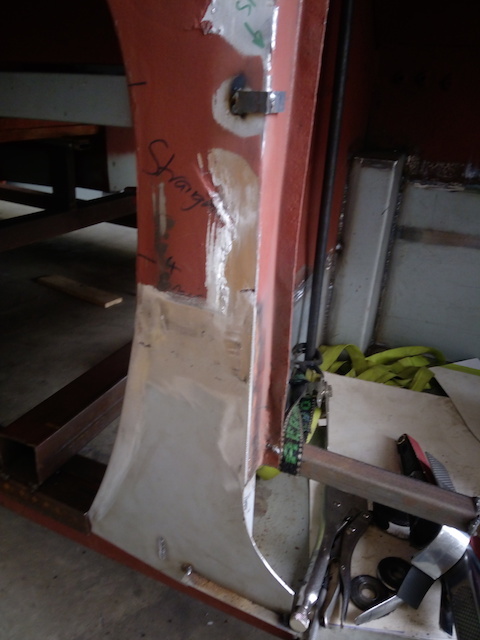 This image was taken prior to the new hole being cut out for the release handle. 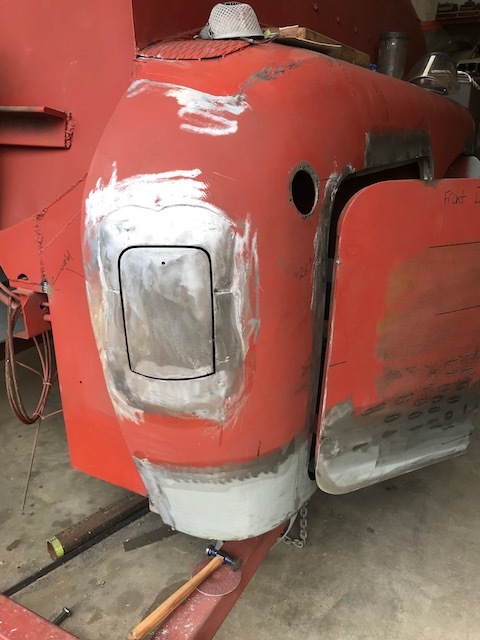 The step has been refitted to complete the left front corner repairs. 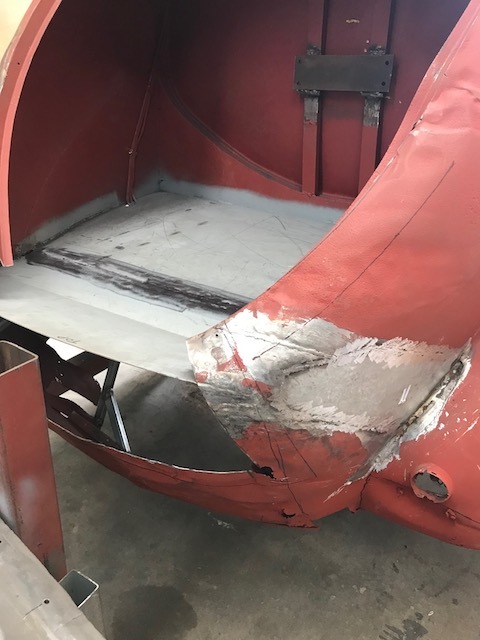 Here is a reminder of the damage and condition of the right front corner. As well as being pushed in badly on the outer side, the bottom edge had totally rusted away and was non-existent. Simon braced the lower front corner and used a porta power to jack out the damage. 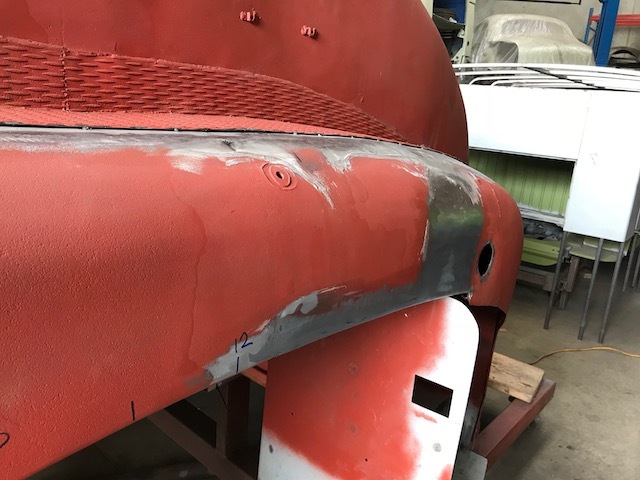 He recovered the shape and repaired the damage by shrinking and hammering the affected areas around the front right corner. As with the left hand side, the bottom section of the corner has been completely rebuilt to the correct dimensions. 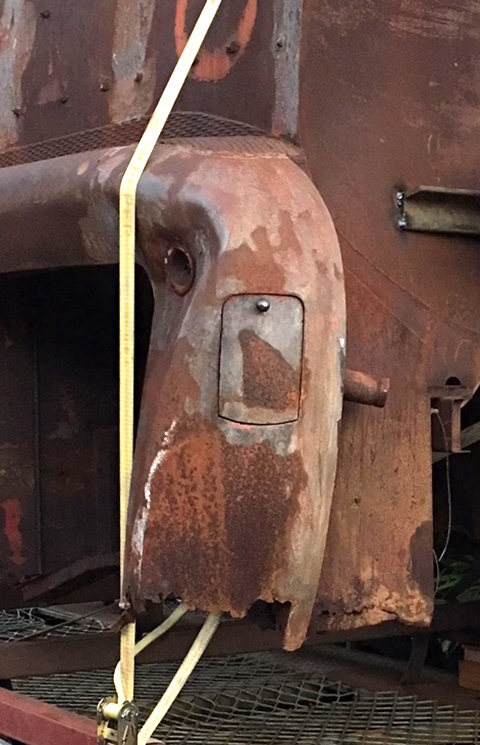 The lead was melted out around the step and rust was found by the lower left corner of the step cavity. This has been cut out and a new section welded in. 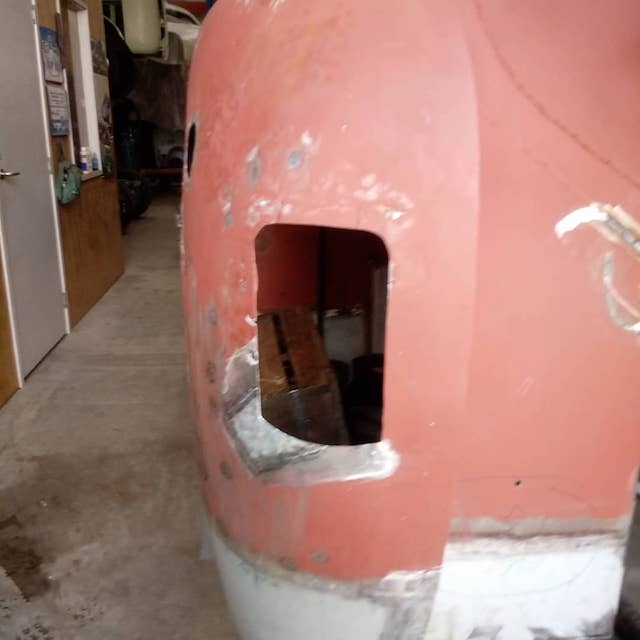 Craig is currently working on refitting the step which will complete the repairs on the front right corner. Images of the repair patches being worked in to the structural surrounds of two of the locker compartments. The sill area below the doors has been replicated to the original height. The left hand side of the tanker had fared better than the right, and was still intact along the bottom edge. This enabled Simon and Craig to get an exact pattern to work from to achieve the correct measurements. 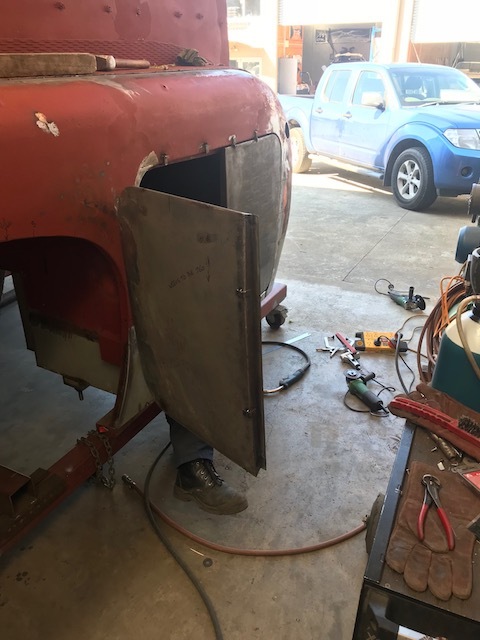 With the lower sills and door jambs repaired, Craig began the task of welding up the hinges and fitting the locker compartment doors. 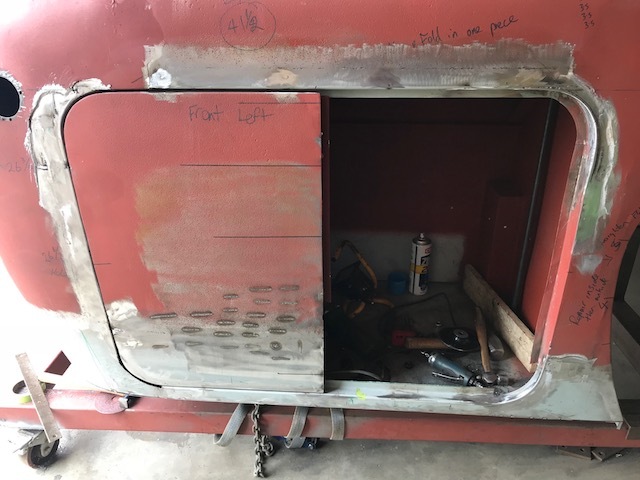 Two days ago, Craig was working on fitting the last of the locker compartment doors. More work has been done inside these lockers that hasn’t been photographed. 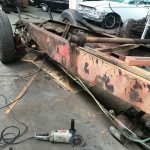 This has mainly involved cutting out rust and welding repair sections back in. 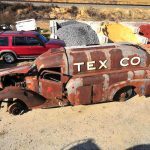 Rust was discovered inside the boot area above the hinge mount of the trunk lid. The hinge mounting bracket was cut out to gain access and a new repair section was welded in place. The original boot / trunk floor welds were ground off and the lead melted out. Further rust was discovered in the outside corners and these rusty sections were cut out. 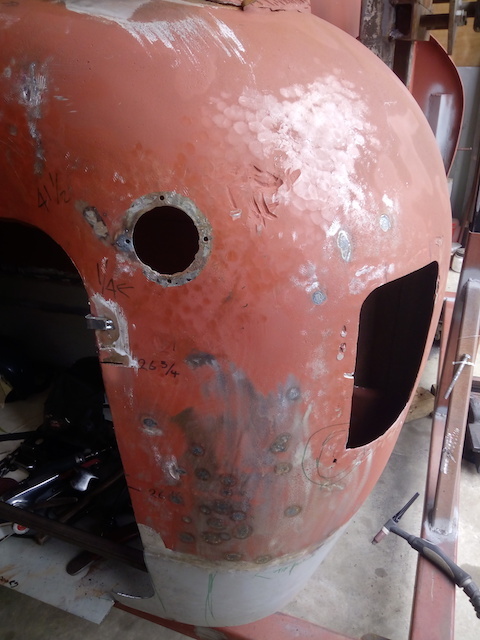 The damage was hammered out and new corner repair sections were made up and welded in. 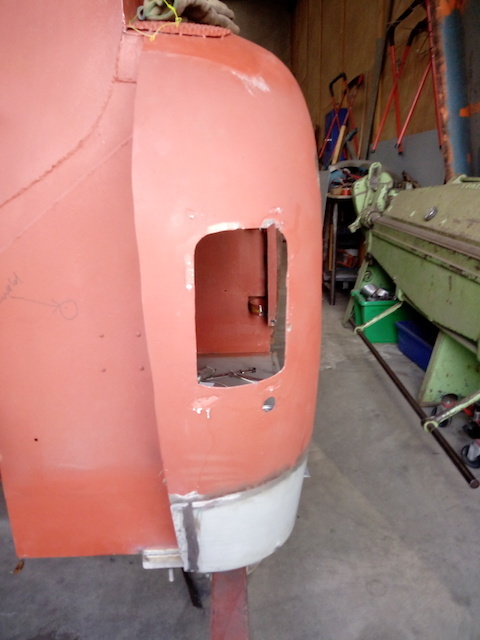 The new trunk floor was mig welded to the tanker support rails. 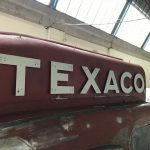 Fabrication work on the tanker is coming to a close with Simon and Craig working towards a completion date of mid October. The half round steel lengths that are to be fitted to the bottom edge have arrived in the country and are awaiting clearance. 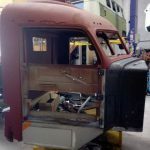 Once these have been delivered to Creative Metal Works, the fitting of the half round trim will conclude the fabrication work on the tanker body. Steve, I am amazed with your commitment, ability and passion for this project. I look forward to the completion and catching up with you again at some time in the future. I am a friend of Loraine and Gary and we met a couple years ago at your home. Thanks Jim. Looking forward to catching up next time you are in Auckland. Incredible difference between BEFORE and AFTER.. You have located a pair of amazing body men. We most certainly have. Thanks Rick. It is sooooo exciting to see the progress on this most worthy project! Thanks Jerry. Simon and Craig have done an amazing job.